Download File Marker and change file icon or file color by one mouse click! FileMarker.NET - a helper which can mark separate files by priority (high, normal, low), by degree of work complete (done, half-done, planned) and by the type of information contained in the folder (work files, important files, temp files, private files). 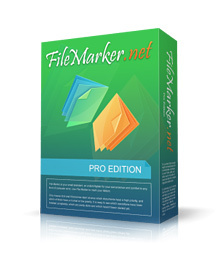 FileMarker.NET is distributed in two editions. Compare them. Folder Marker is tool, similar to FileMarker.NET, but for folders, not files. This Windows add-on lets you mark important folders with color-coded or image-coded icons in order to make them easier to spot among hundreds of similar-looking yellow folders.